Give me 3 hours of your time and I will improve your photography skills beyond what you can imagine and teach you how to open up the creativity in your camera and the way you see. This class is designed for photography beginners and photo enthusiasts looking to learn the basics of digital photography- both the art and the science of it. 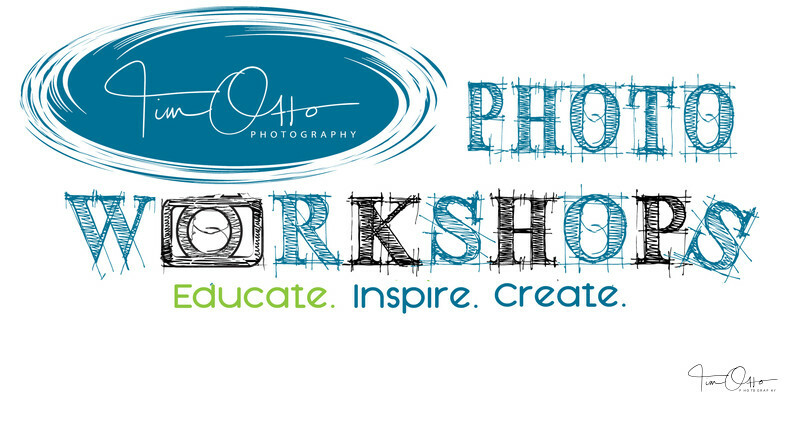 During this fast paced 3 hour workshop Tim Otto will share with you a comprehensive overview of the his 7 step method for creating amazing images. Step One: Basic Function of Today’s Modern Digital Camera! You’ll learn and finally understand your camera! Whether you have a pro-sumer model, or a top of the line professional DSLR, Tim will make sure you get the most out of your camera! Step Six: It’s the Little Things! When it comes to bettering your photography, it’s all about refining the little things and looking for details. Tim will show you how to turn what would normally be a snapshot into a work of art! Step Seven: Enjoying Your Photographs After You’ve Created Them! You’ve created them…now what do you do with them??? Tim will demonstrate the latest ways to enjoy your images as fine art prints, metal, albums, slideshows, and more! Bottom-line, no matter what your skill level is or the type of camera you own even your phone. Tim will give you some of the best information regarding photography you will ever receive. You’ll leave the classroom knowing how to operate your camera and the inspiration to put that knowledge into practice! Join Tim for his 7 Steps to Better Photography 3 Hour Crash Course! Intermediate to Advance Level Photo Class. Beyond the Basics- The “Artsy Stuff”- A 3 hour Photographic Journey of Balboa Park. We recommend you take our “7 Steps to Better Photography” Basic class before any of our advanced classes. A big part of modern day digital photography is the “techy” stuff. But, much of it is learning how to see things in a more artistic light. What does it take to create photography with impact instead of a snapshot? • & Story Telling, just to name a few! After spending 3 hours with Tim and completing this course you will have a new appreciation for photography as an art form and the confidence to create your own dynamic photos that you will be proud to display. Register today and get your creative juices flow-in!